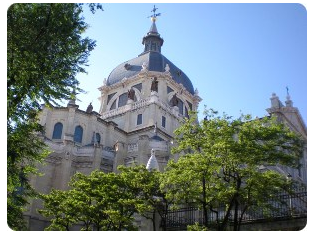 -Almudena Cathedral is the cathedral of Madrid, Spain. 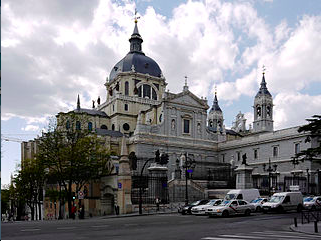 -When the capital of Spain was transferred from Toledo to Madrid in 1561, the seat of the Church in Spain remained in Toledo; so the new capital – unusually for a Catholic country – had no cathedral. 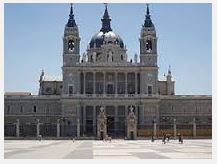 -Almudena Cathedral was completed in 1993 and consecrated in person by Pope John Paul II that same year. A statue of the pope in front of the cathedral commemorates the momentous occasion. 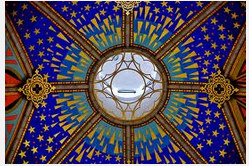 -The bright Neo-Gothic interior is uniquely modern, with chapels and statues of contemporary artists, in heterogeneous styles, from historical revivals to "pop-art" decor. 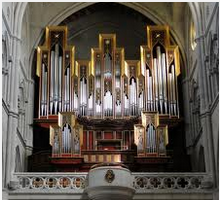 -It is modest compared to most Spanish cathedrals. 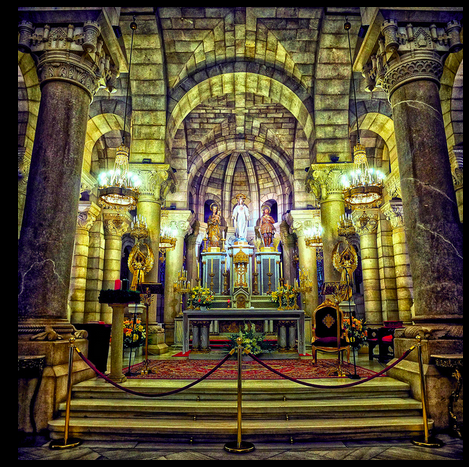 -The Neo-Romanesque crypt houses a 16th century image of the Virgen de la Almudena. 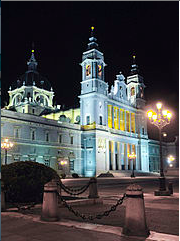 The cathedral opened on June 15, 1993.